Don’t you just hate it when your nails crack, chip or split after a manicure? That’s what happens when you have weak nails, and it’s a pretty common dilemma that can happen to anyone. There are varied reasons for weak nails. 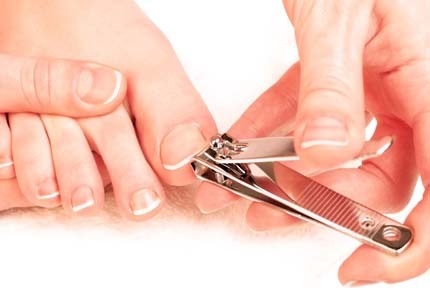 One of the most common causes of nail disorders is nutritional deficiency. That means you are low on iron, folic acid or Vitamin C, and that results in brittle nails. Poor maintenance is another reason. If you’re not getting manicures regularly, it can lead to weak nails. If you’re constantly using artificial nails or changing nail polish every other day, it can wreak havoc on your nail’s health. Sometimes diseases and disorders, such as psoriasis, poor circulation, and infection, may be the culprit. No matter the reason for your weak nails, you have no other choice but to strengthen your nails. To do that you’ll need the best nail strengthener. There are plenty of products on the market, some of those are acrylic, creams, gel, and powders. Down below you will see a comparison table of the different varieties, which will help you, choose the perfect product for your nails. When it comes to the best nail strengtheners, the choices are vast and plenty. There are different types and various brands to consider. Things can get a whole lot confusing if you don’t know what to look for. Now that you have a pretty clear idea which brands are the best nail hardener on the market, it’s time to get a closer look at your options. Below are in-depth reviews including pros and cons to help you nail the perfect choice for your personal needs. 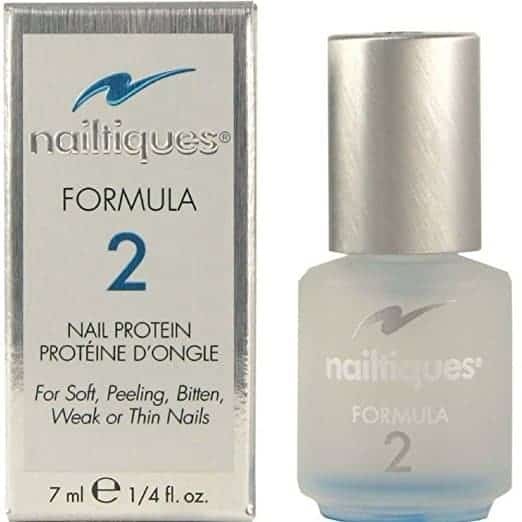 One of the best nail strengtheners you can buy is this Nailtiques Nail Protein Formula #2. Coming from a brand renowned for their nail care products, you’re on the right track with this one. It works just like any other nail polish. You just have to brush one coat of the formula on your nails every day, until you see some improvements. Afterward, you only have to use it every other day. Whether you have peeling nails because of your nail biting habit, or you’ve always had thin, flimsy nails, the Nailtiques Nail Protein Formula is exactly what you need. If you’re diligent with regular application, it should take between 6 and 8 weeks to see significant improvements. There are three sizes of this nail strengthener available. To begin with, we recommend you to try out the o.25 fl. which only costs about $10. Shortly after you will feel the improvements. Who wouldn’t want long, strong and healthy nails? We all do. Unfortunately, many of us also have problems with weak nails caused by a number of factors; our diet, our nutritional deficiency, nail-biting and much more. If you’re one of the unlucky ones to have weak and peeling nails, you should try the Nailtiques Formula 2 Plus. 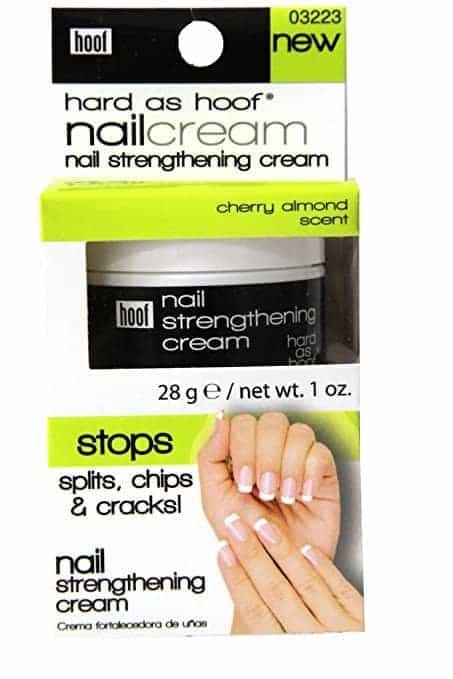 Just like the other Nailtiques product we’ve listed above, this formula has been specifically formulated to bond splitting or peeling nails. To enjoy the best results, it is recommended to apply one coat of the nail protein formula every day for a few weeks. Don’t remove the coat, just re-apply new coats over existing coats. 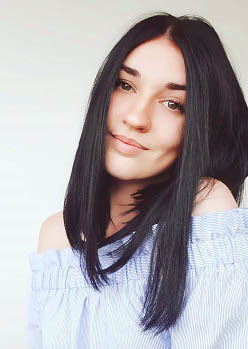 If you want to remove the coats, we recommend to do it after 3 to 4 days, for example by using the Nailtiques Non-Acetone remover, or any remover you have handy. With regular use, you can expect to see significant results after several weeks. If you’re looking for a supplement instead of the usual nail polish strengthener, we recommend the High Potency Biotin 5000mcg Per Veggie Softgel. 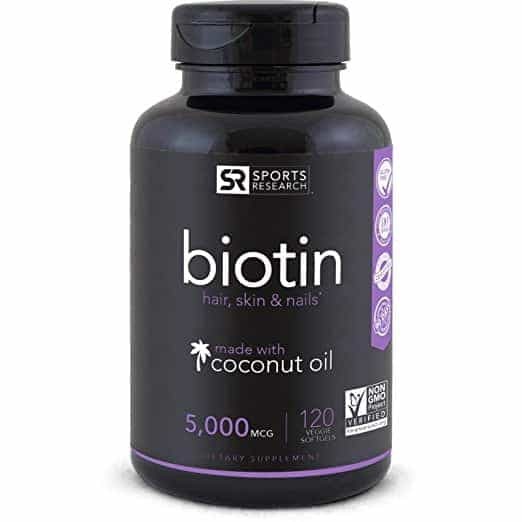 Not just for strengthening nails but this biotin supplement is also great for your hair and skin. There are 120 gels per bottle with 5000mcg of high potency per liquid softgel. Each gel is enhanced coconut oil for added support. If you don’t want to bother with applying nail polish on every nail, taking the Biotin supplement is a great option. For best results, take 1 soft gel daily with a meal. The gel is small and easy to swallow. Just keep in mind that there may be side effects because of the high dosage. One of the most common side effects is stomach discomfort. Some people have reported suffering from breakouts. With regular intake, you should see improvements in terms of nail strength and nail growth as well as improve hair density. If you want to see significant improvements in just 2 to 3 weeks, you’ll want to check out the Duri Rejuvacote 1 0REJ1 nail growth system. With over 1,400 best nail strengthener reviews on Amazon, many consumers are swearing by the effectiveness of this product. It’s specifically ideal for healing split, cracked and acrylic eaten nails. Like other nail strengtheners, this one contains a number of strong chemicals. When you apply the nail polish, be extra careful and avoid applying anything to cuticles. If you happen to drop some on cuts, it can sting. For best results, use the product daily. Make sure to apply only to clean and dry nails. You can apply nail color on top of the nail strengthener if desired. When it comes to the best nail strengthener for peeling nails and other nail abnormalities, the OPI Nail Envy Strengthener is a high-end brand that offers a maximum strength formula for faster results. The formula is fortified with hydrolyzed wheat protein and calcium giving you stronger and longer nails in no time. To begin with, you have to apply two coats of the formula, after that you only have to apply one coat every day on top of the existing coats. For best results, use every day and by the end of the week, remove the product and start the process again. You should see some dramatic results in a matter of weeks. With over 2,300 OPI nail strengthener review on Amazon, this product is definitely one of the best products you can buy. The only downside is the price tag. It cost twice as much as other nail strengtheners. Some of the best nail polish we’ve listed so far should be used daily if you want to see the best results. That doesn’t apply for the Quimica Alemana Nail Hardener. In fact, the formula is specifically not meant for daily use. It is designed to be applied once a week and very carefully because the formula is so strong and may cause some pain or burning sensation on first use. Unlike other nail strengtheners, you’re not supposed to cover the whole nail with the nail polish. Instead, start the application from the center of your nail down to the tip. You can top it off with your favorite colored nail polish once the strengthener is dry. When used carefully and properly, the Strengthener Quimica Alemana Nail Hardener forms a protective barrier to effectively prevent chipping, peeling and splitting nails. Since you’ll only need to use the formula once a week, the product is definitely a great value buy and perfect for long-lasting use. If you’re not comfortable using liquid formulas to strengthen your nails, you might want to consider the Gena Healthy Hoof Cream instead. Not only is this nail strengthener effective but it’s also more affordable than many of the best nail hardener on the market. What makes this nail cream special is the formulation that offers intensive protein treatment that has been tried and tested for many years. Even horse trainers are swearing by this product. It’s perfect for conditioning and strengthening weak nails and cuticles. If you use the nail cream every day, you should see some satisfying results in about a week or two. The application is not as convenient as when you use a nail polish. In fact, it can get pretty messy when applied to nails. We recommend using the cream before bed. Some of the best drugstore nail strengtheners may leave your nails feeling stronger with regular use but there’s also one problem that go with impressive results. Many of these products leave your nails hard, dry and inflexible. If you’ve tried numerous nail strengtheners and you’re not satisfied with the results, we highly recommend the Trind Natural Nail Repair. It’s a unique formula that strengthens your nails while still keeping it flexible. What sets it apart from other products, is the perfect balance of keratin and moisture it produces in the nail. 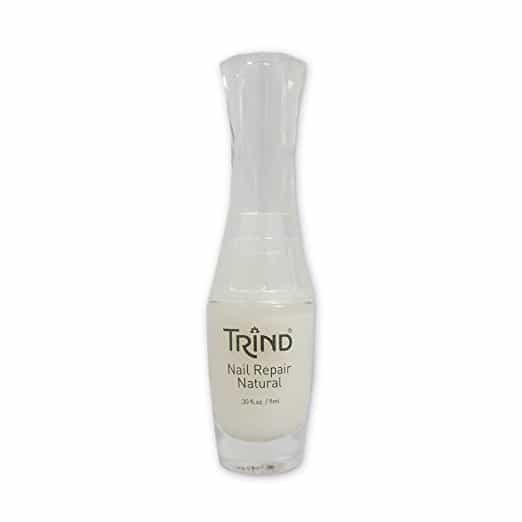 For best results, use the Trind Natural Nail Repair daily. It’s ideal for women of all ages and suitable for all nail types. You should be able to see some significant results in just two weeks. If you’re satisfied with the improvements, use the formula once a week as a base coat or gloss for maintenance. 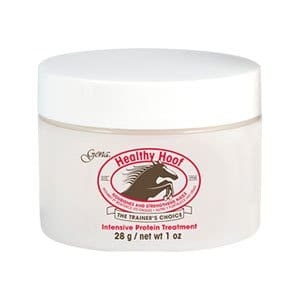 Whether you have problems with chipped, split, thin, weak or crack nails, the ONYX Hard As Hoof nail strengthening cream may just be what you’ve been looking for. Unlike the other products, you’ll know that this nail hardener really works, because the formula has proven effective for over 25 years. It is especially best for strengthening and conditioning cuticles. It will also grow the nails from soft and weak to strong and give the nails new length with regular application. If you’re looking for the best nail strengthener without formaldehyde, look no further than the ONYX Hard As Hoof strengthening cream. The formula, however, isn’t as strong as other nail strengtheners. You may need to use the cream three times a day as needed. The upside is that it works just like a hand lotion. It’s incredibly easy to apply. Just massage into the nail bed and you’re good to go. It will take about a week of regular use to see significant results. 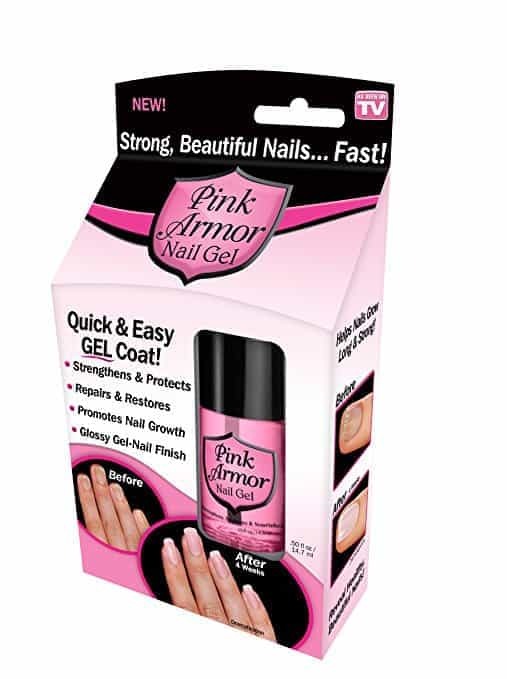 If slow nail growth is your main problem, we recommend that you check out the Pink Armor Nail Growth Formula. The formula is specially created to promote nail growth as well as strengthen and protect your nails. 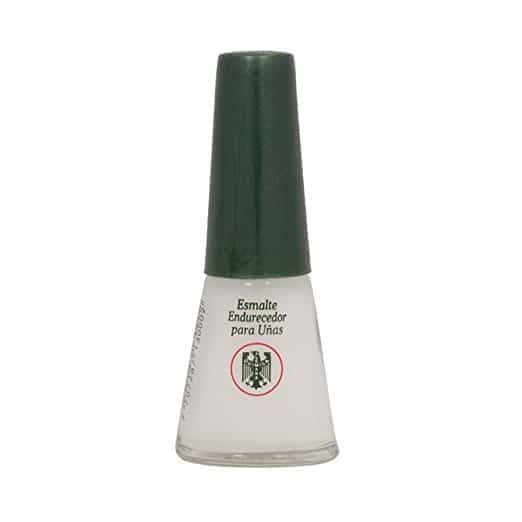 Unlike other nail polishes type strengtheners, this one has a thicker consistency. It’s a gel-like formula with a glossy finish, and you can apply it directly on to your natural nails. You can use it as a base coat or top coat over your favorite colored nail polish. For best results, just apply the Pink Armor directly to your natural nails. One coat daily should do it, but if you want more fabulous looking nails, you can apply two or even three coats. Wait for the coat to dry before recoating it. By the end of the week, remove the gel with nail polish remover and start the routine all over again. If you think your nails are unsalvageable, think again. With the Nailtek Xtra Strengthener, you can still save your nails from several nail problems. It offers a more concentrated formulation with extra strength to effectively correct your problem. If you have very bad peeling or splitting nails, for example, you should start off with this extra strength bottle for faster results. When you get to the point of satisfying improvements, you can switch to a milder Nailtek formula. 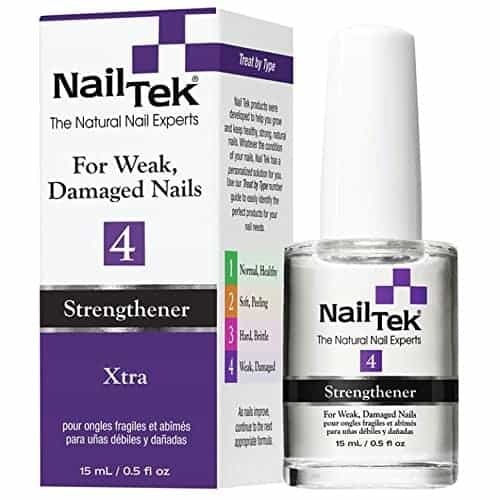 With its stronger formula, this Nailtek Xtra is also recommended if you’ve previously worn acrylic nails and now you have little to no nails left. When used according to the product directions, this could be the best nail strengthener after acrylic nails, you can buy. The best part is that the bottle is also incredibly affordable compared to other high-end brands. Just make sure to be extra cautious when applying this nail strengthener as it contains chemicals and formaldehyde. 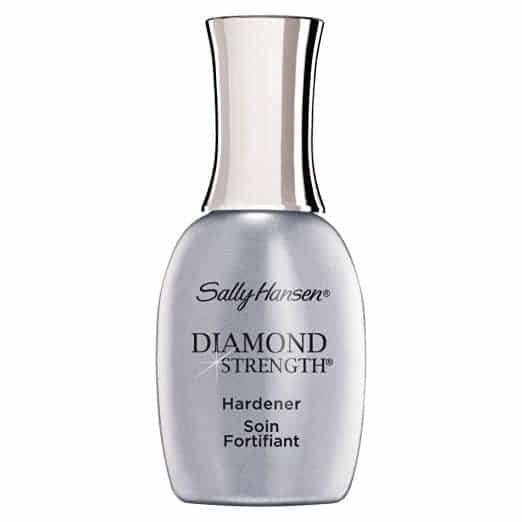 If you want instant results, this Sally Hansen Diamond Strength is your best bet. What sets it apart from other products is the unique formula that combines titanium and micro-diamond for instant results. It instantly hardens your nails when applied but without sapping the nail plate dry of moisture. Instead, the formula locks in moisture while letting your nails grow. If your nails easily bend, chip, break or split, the Sally Hansen Diamond Strength offers a reliable solution for your problems. You just need to apply one coat as a start. If you need extra protection, you can apply a second coat. Do this routine for the next seven days. Remove all products with acetone, leave your nails bare for 24 hours then repeat the treatment until you see your desired outcome. As it contains a variety of chemicals, be extra careful with your application to avoid any discomfort or stinging sensation. If you’re a nail-biter, you also likely have very weak nails not to mention extremely slow nail growth. If you’ve been nailbiting for years, it’s definitely not going to be easy to break off the habit. But thanks to the Barielle No Bite Pro Growth, there’s hope to finally stop the habit and allow your nails to grow. 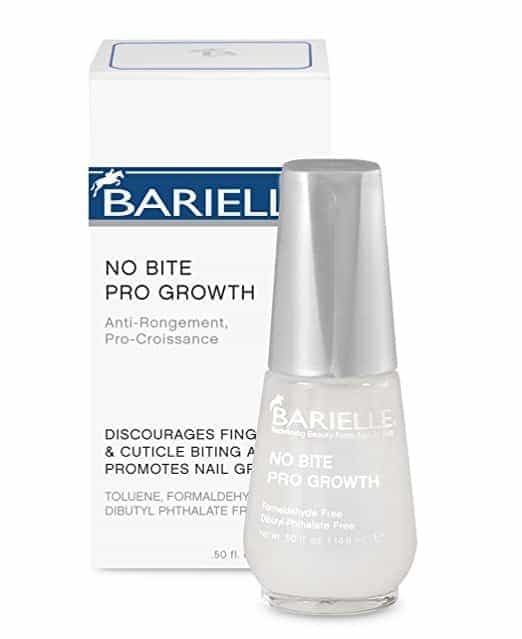 While not exactly a nail strengthener, we’ve included the Barielle No Bite Pro Growth on our list to cater to those who have nail-biting problems. What’s great about this formula is the ease of application. Just apply on clean and dry nails. With its intensely bitter taste, you’ll never want to bite your nails ever again. The product is child-friendly and may be applied on skin or cuticles. For best results, you can apply the product every other day until you finally break the habit. With regular use, you’ll likely break a lifelong embarrassing habit in a matter of weeks. 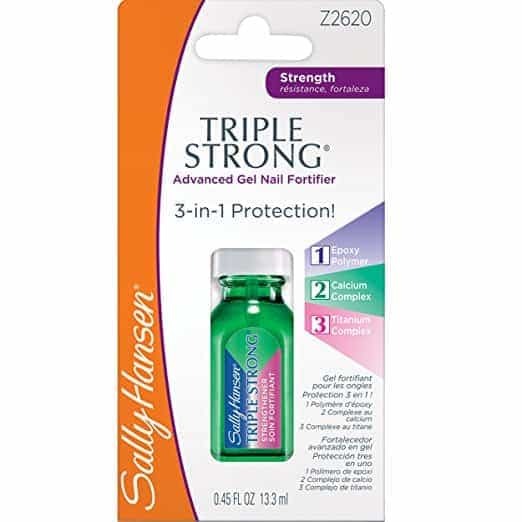 If your nails are extremely weak, what you’ll need is an extra strength protection that the Sally Hansen Triple Treatment can offer. The unique formula offers not just one but 3-in-1 nail protection against breaking and other problems. The gel is fortified with epoxy polymer for flexibility, pro-vitamin B5 and iron to promote growth as well as strengthen your nails. It also contains titanium to effectively bond weak nails. If you want better results in a shorter amount of time, we highly recommend the Sally Hansen Triple Treatment. The only downside to this product is the expensive price tag. But since you’re getting 3-in-1 protection for your nails, it’s a good value investment in the end. We’ll all need to strengthen our nails at some point. No matter what your nail issues are, nothing is more annoying than nails that keep on breaking even if you’ve been extra careful. There are different remedies to weak nails. You can whip up your own nail strengthener homemade recipe, for instance. Mixing olive oil with lemon juice then nuking it for 15 seconds will give you an excellent formula that will strengthen and whiten your nails. But if you’re like most people and you’re not exactly keen on making your own recipes, just buy the best nail hardener for weak nails. There are plenty of nail hardener that really works and they are available on the market today. These products are easy to apply and you can see results in a matter of weeks. The confusing part is to choose which product to buy. Luckily for you, we’ve crafted this nail strengthener buyer’s guide so you’ll know exactly what to look for. One of the common causes of weak nails is nutritional deficiencies. You may be low on iron and that can cause stunted nail growth. If you have folic and vitamin C deficiency, you’ll likely suffer from brittle nails. Diets that are low in protein can also lead to weak nails. Regular nail maintenance is the key to stronger nails. With regular manicure, your nails are cleaned properly which prevents infection that can cause a number of nail abnormalities and disorders. With nails properly shaped, you also allow your nails to grow stronger. But ultimately, you’ll prevent chipping and splitting with proper maintenance. You might think that prepping your nails with a base coat is a good thing. You’d be wrong. Base coats generally contain chemicals that will ruin your nail plate making it weaker and prone to breaking. Instead of doing the base coat first, you should apply a small amount of hand lotion onto your nails before polishing. Another mistake you may be making is leaving your nail polish on for far too long. Like base coats, nail polishes generally contain chemicals that can dry up the nail plate. When left alone, your nail polish will sap the moisture and leave your nails dry. Dry nails are naturally weaker and prone to breakage. What are the best ways to strengthen nails? Just like there are varied causes to weak nails, there are also different ways on how to treat peeling nails and other nail problems. If you have weak peeling nails due to vitamin deficiency, taking supplements is one solution. If your nail growth is extremely slow, you might want to add more protein to your diet. If your nails are constantly chipping or breaking, you can always rely on the best nail hardener and strengthener to get the job done. How to shop for the best nail strengthener? Whether you’re looking to buy the best nail hardener without formaldehyde or the best nail strengthener for peeling nails, there are a few things to keep in mind. There are plenty of inexpensive nail strengthener that works if you know what to look for. When you’re shopping for the best nail treatment for damaged nails, always look at the formula first. A nail strengthener vitamin may be fortified with calcium for stronger and longer nails in just a matter of weeks. Other products may contain essential oils like jojoba nail oil to inject more moisture to the nail plate. Whichever brand you go for, just make sure to buy the best nail strengthener without formaldehyde. The best nail strengtheners should be easy to apply. There are products that offer a nail treatment system that includes a 3-step routine for best results. There are also products that require only one step. Most strengthening solution works just like any nail polish. You just need to apply the formula daily for a period of 4 weeks or longer to see significant results. The most basic nail strengtheners are inexpensive and may cost you a couple of dollars. But if you want faster and surer results, you may want to go for the high-end brands such as the nail strengthener by OPI. It costs somewhere between $15 and $20 for a 0.5 fl. oz. bottle but the formula has been tested to work for many consumers. Brittle and weak nails are a pretty common problem. 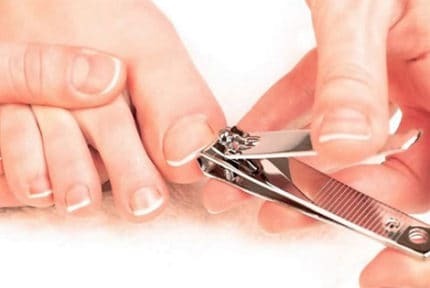 Nutritional deficiency, poor maintenance, slow growth and low protein diet, these are just some of the most common causes we can blame for the nail dilemma. At the same time, there are also a wide number of great strengthening products that offer a quick, easy and affordable solution. It’s just a matter of finding the best nail strengthener to meet your personal needs. With our buyer’s guide and shortlist, we hope you’ll quickly find the best brand to solve your nail problems.